“Gorgeous.” That is what guests will say when they see your new room highlighted with the Staybull® line of recycled Makore flooring. What exactly makes the Staybull Flooring® line of exotic Makore hardwood noteworthy? The display of auburn, brown plus the varied grain pattern create rooms that look genuine; timeless. Get your free quote of eco-friendly Makore Staybull Flooring®. 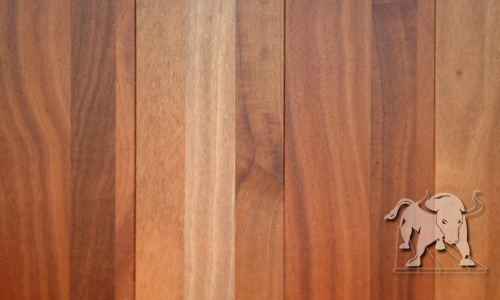 Makore heartwood varies from pinkish-red to blood red and red-brown. Grain is usually straight, but many logs have a decorative moire pattern, or mottled, or even dark streaks. It's texture is uniform and fine. The wood is lustrous.